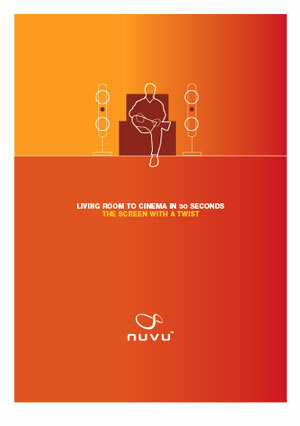 We were asked to invent a name and design an identity for an innovative new home cinema screen that was being developed. The chosen name is short, memorable and abstract. It is both male and female friendly and is unencumbered by technical terminology. This simple, short name is also advantageous when taking the product into foreign markets. The screen unfolds with a twisting motion, which is echoed in the logo and strapline. 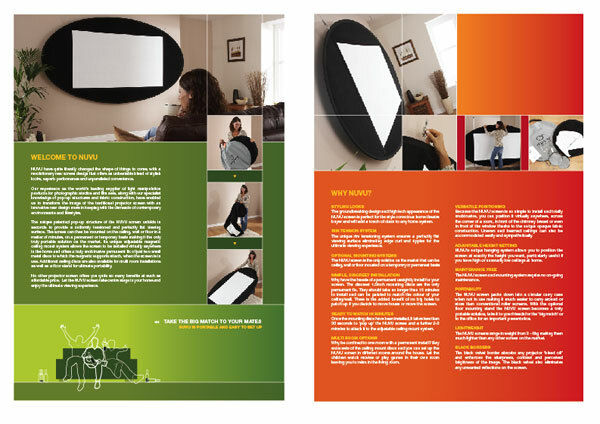 Shaped flyers and a bold and colourful brochure and website contributed to an extremely successful product launch.